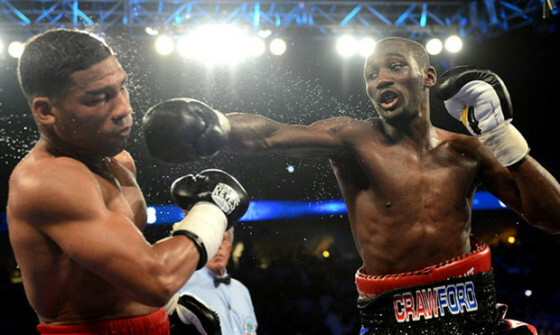 On Friday night, May 13, inside of the Sam’s Town Casino & Gambling Hall, cruiserweight contender Andrew “The Beast” Tabiti secured the biggest victory over his career in out-pointing New Jersey’s Keith “Machine Gun” Tapia over 10 rounds to claim the NABF title. 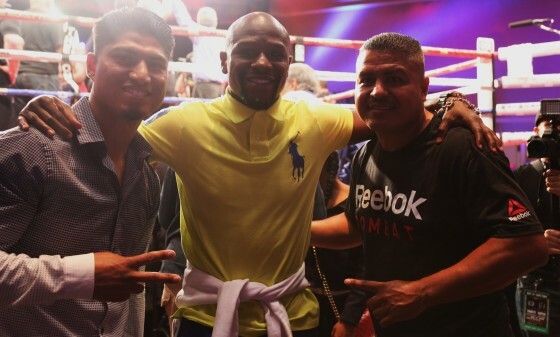 Sitting ringside during the bout was Tabiti’s promoter Floyd Mayweather. 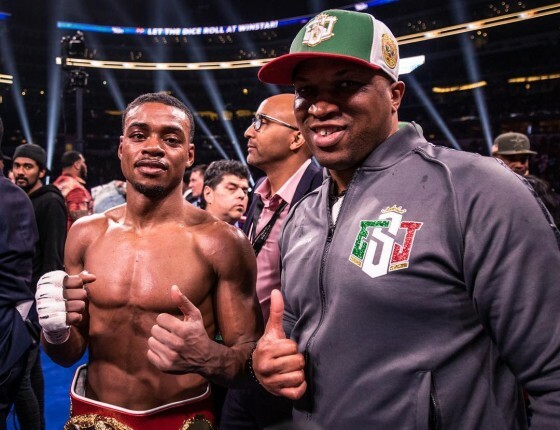 And while it’s not surprising to see the retired pound-for-pound king around the scene and supporting his fighters, it was the two men who were flanking Mayweather who caught our attention. 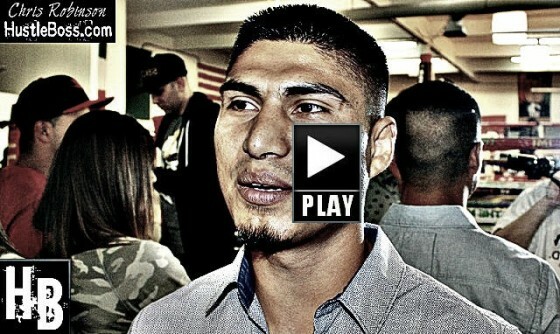 HustleBoss.com’s Chris Robinson speaks with WBO junior lightweight champion Mikey Garcia about the possibility of his friend and stable mate Brandon Rios facing Antonio DeMarco. 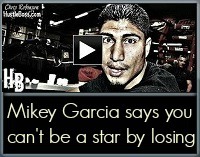 HustleBoss.com’s Chris Robinson speaks with WBO junior lightweight champion Mikey Garcia about his recent sparring session with Marcos Maidana as well as being in Las Vegas to check out Floyd Mayweather in training. Mayweather faces Maidana on May 3 from the MGM Grand. 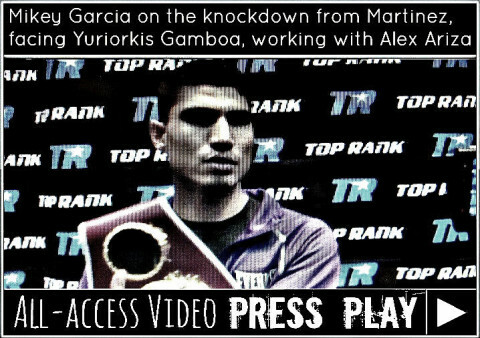 HustleBoss.com’s Chris Robinson speaks with WBO junior lightweight champion Mikey Garcia (34-0, 28 KO’s) about the Saul Alvarez vs. Alfredo Angulo match. 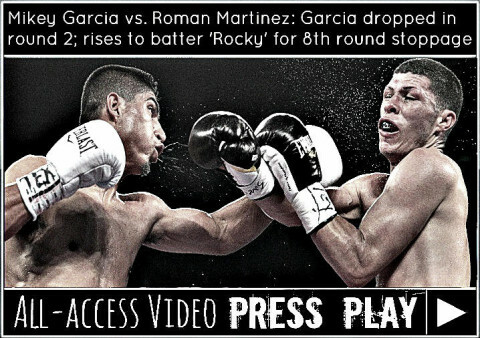 HusteBoss.com’s Chris Robinson speaks with former HBO analyst Larry Merchant about WBO junior lightweight champion Mikey Garcia’s victory over Juan Carlos Burgos and what a potential fight vs. Yuriorkis Gamboa may mean. 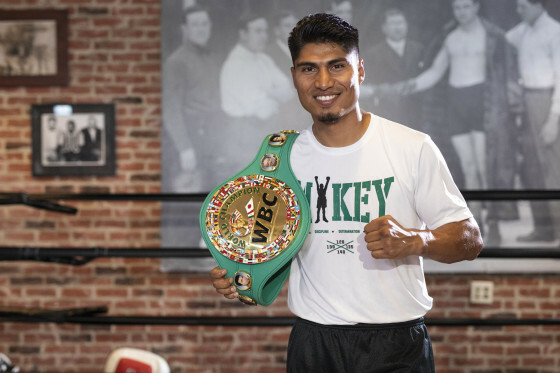 Reporter Marc Abrams (http://www.15Rounds.com) catches up with WBO junior lightweight champion Mikey Garcia (33-0, 28 KO’s) ahead of his HBO showdown vs. Juan Carlos Burgos. Check out what Mikey had to say in this clip. 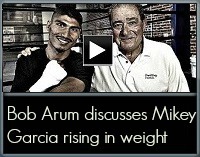 Reporter Marc Abrams (http://www.15Rounds.com) speaks with Top Rank CEO Bob Arum about the future of WBO junior lightweight champion Mikey Garcia (33-0, 28 KO’s) ahead of his Jan. 25 match vs. Juan Carlos Burgos on HBO. 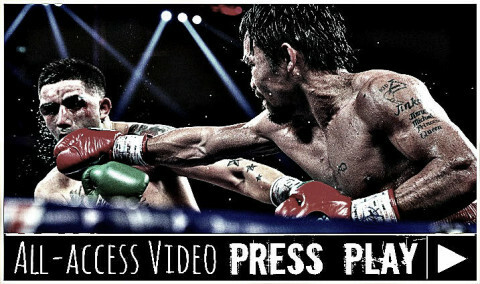 On Saturday night, former lightweight champion Brandon Rios came up short against Manny Pacquiao. 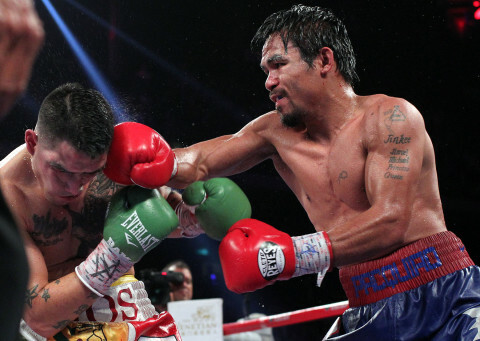 For twelve frustrating rounds inside of the Venetian Resort’s Coati Arena, Pacquiao was simply too dynamic and sharp for Rios, as he used his movement and combination punching to nullify any kind of attack that the Kansas native attempted to bring. 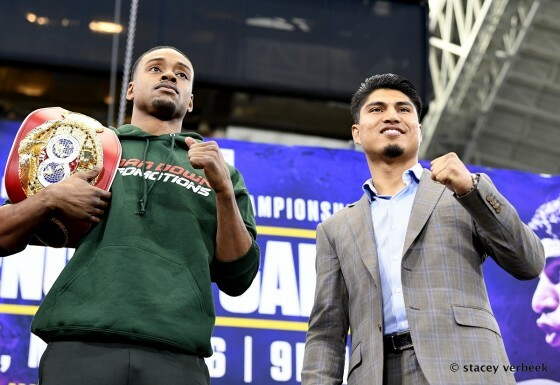 Watching the fight from ringside, Rios’ stable mate and current WBO junior lightweight champion Mikey Garcia gave Pacquiao his deserved credit.